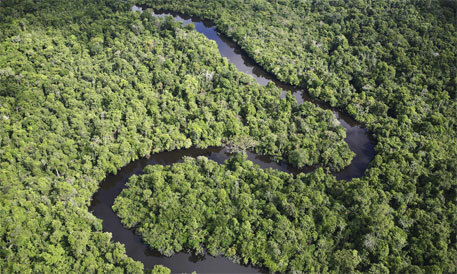 A new report says that vast expanses of forests could be lost in the next 20 years in 11 global hotspots. A research by wildlife charity World Wildlife Fund (WWF) has identified these “deforestation fronts” where 80 per cent of the projected global forest losses by 2030 are likely to take place, the report adds. Up to 170 million hectares of forest cover could be lost between 2010 and 2030 in these areas if current trends continue. This is equivalent to the disappearance of an entire forest stretching across Germany, France, Spain and Portugal. “Imagine a forest stretching across Germany, France, Spain and Portugal wiped out in just 20 years,” Rod Taylor, Director of WWF’s global forest programme, was quoted by The Guardian as saying. The vulnerable areas are the Amazon, the Atlantic Forest and Gran Chaco (largest dry forest in South America), the Cerrado in South America, the Choco-Darien in Central America, the Congo Basin, East Africa, eastern Australia, the Greater Mekong in South East Asia, Borneo, New Guinea and Sumatra. These regions are home to indigenous communities that depend on them for their livelihoods and endangered species, such as orangutans and tigers, the WWF research says. Globally, forest stretches are giving way to expanding agriculture practices, including livestock farming, palm oil plantations and soy production, the WWF report says. Unsustainable logging and wood fuel collection are also causing forest degradation, besides mining, construction of hydroelectric dams and other development projects, the report reads. Conservation groups are calling for action, including expanding and strengthening protected areas. They are also urging local communities to recognise the benefits that forests provide to humans. The WWF report also says that more than 230 million hectares of forests could vanish by 2050 if no action is taken. WWF-UK’s chief adviser of forests, Will Ashley-Cantello, was quoted by The Guardian as saying, “Deforestation needs to stop if we are to reverse biodiversity loss and combat climate change—which, if unchecked, will affect our quality of life. Humanity uses the Earth’s resources unsustainably, which affect the natural ecosystems. Globally, we use the resources of 1.5 planets. However, the ecological footprint of the EU is even higher as on an average, it needs 2.6 planets to maintain the current lifestyle. The EU, as a signatory party to the UN Declaration on Forests, has committed to “at least halve the rate of loss of natural forests globally by 2020 and strive to end natural forest loss by 2030”.